Just mix with water, knead and model. 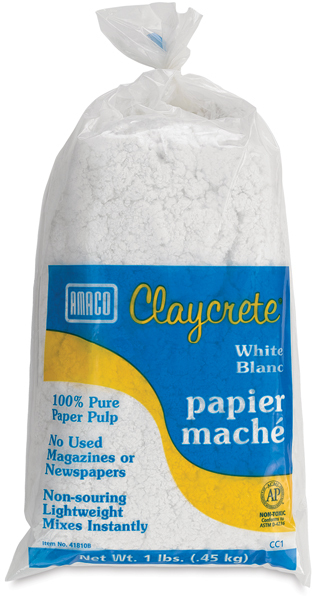 Amaco Claycrete pure white instant paper mâché won't stick to hands or tools, making it exceptionally easy to work with and clean up after. It dries white and is very lightweight. ® Amaco is a registered trademark of American Art Clay Company.® Claycrete is a registered trademark.